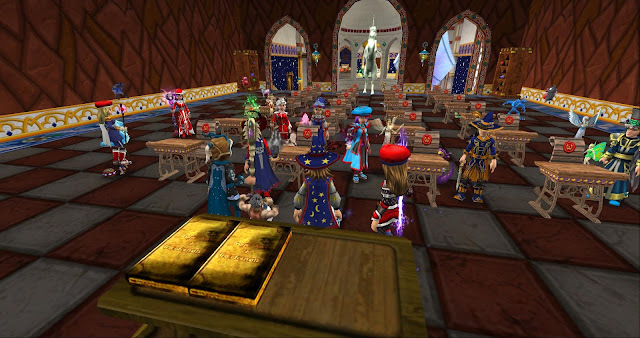 I was planning on making a recap post about Icy's Graduation yesterday, but I was tired most of the day. I thought I'd make this post today since I'm not as tired as I was yesterday. :) Before I talk about what the event was like, CONGRATULATIONS Icy on your amazing accomplishment! Graduating Middle School, High School, College (like Icy), or really any school is always amazing and shows that no matter what you went through, you still made it through. Even if you decide to go back to school, that shows you can do anything if you put your mind to it! 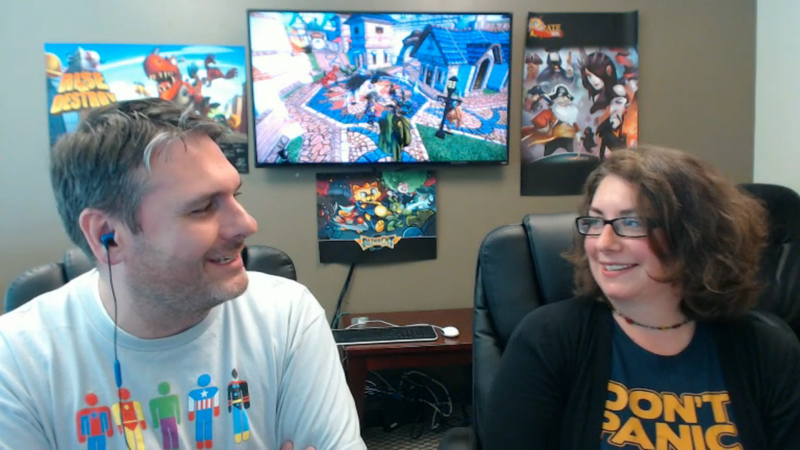 Today our awesome community manager, Tom Purdue, and new awesome co-host W101 & P101 Producer, Leah Ruben, had another Kingsisle Live yesterday! I wanted to let both of them know that they did a great job on this episode of Kingsisle Live. This episode was very funny and was one thing that made my day. 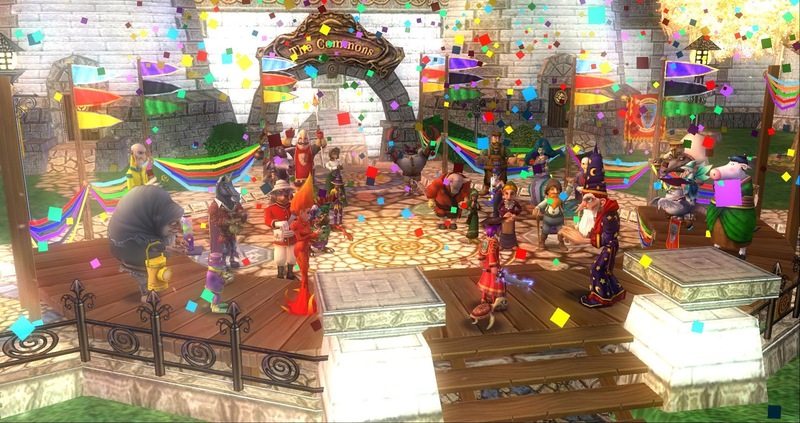 :) I'm glad the show was able to continue because it gets the community together on the game for fun and laughter. 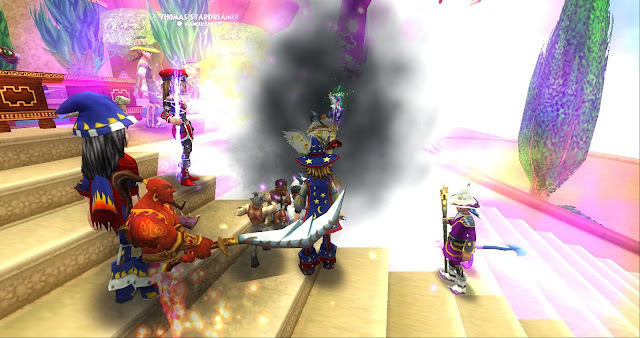 This episode was actually full of a lot of information including a new boss planned to be released to Wizard101 soon, talks of two updates that are also planned to be released, new Pirate101 updates including drops, a new Wizard101 bundle, a new Mobile Game, and potential future bundle from my understanding! 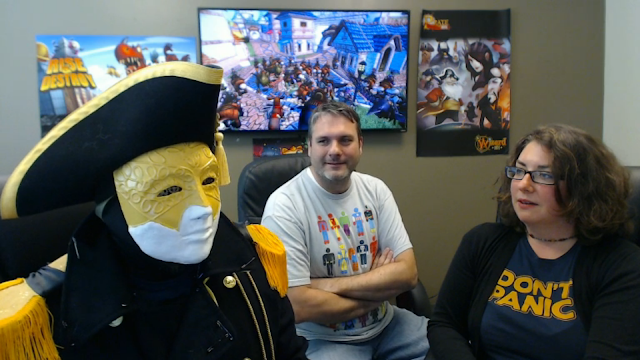 We also had a lot of fun in the game and they had an amazing guest! This episode was a success and I am looking forward to future episodes! I will miss Leala & #JuliaFromKi, and I really want to thank them for all of their hard work and support of the community. I'm glad we are able to have another great chapter with Leah Ruben. :) Both of you did a great job yesterday. 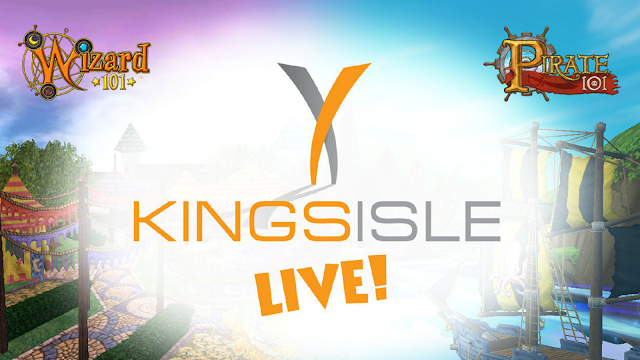 By the way, if you would like to view yesterday's amazing episode of Kingsisle Live, you can click play on the video below when it is made available later today! 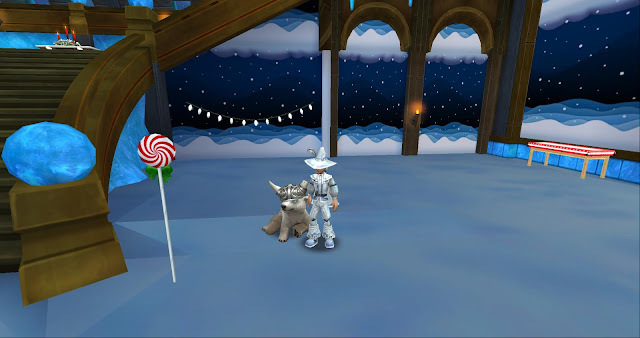 I haven't really been up to too much lately because every minute I've been in Wizard101, I've been decorating my ice wizard's Polarian house for my July 16th Santa run event! 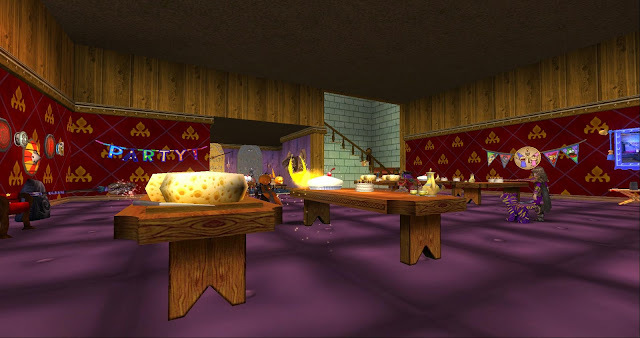 The afterparty will take place in this house and I have many special events and hopefully contests planned for it. :) I didn't want to take too many pictures because I want part of it to be somewhat of a surprise. 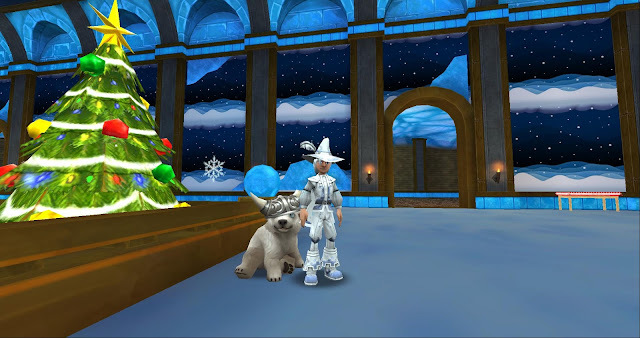 I'm sure a few of you will guess what I have planned, but I am working on a limited amount of Christmas items from the Yuletide Packs that they usually release during the Holiday season. I've been logging into all of my characters to find extra Christmas items to add to my house. As I said earlier, I am working with a limited amount but I still think what I have planned will get you in the Christmas mood on July 16th. It will be a lot of fun for a lot of you in the community and I hope many of you show up. 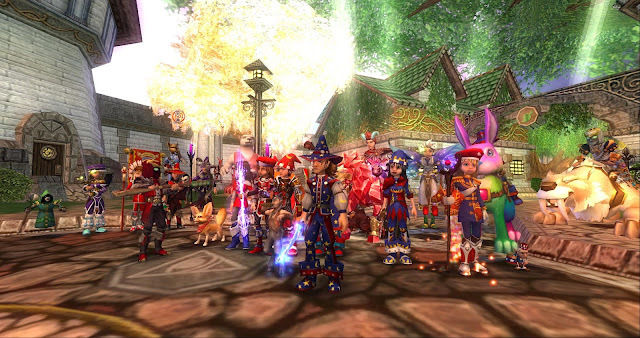 I want to see so many Santa & Mrs. Claus's (or red and white gear) running through the commons on July 16th with us. 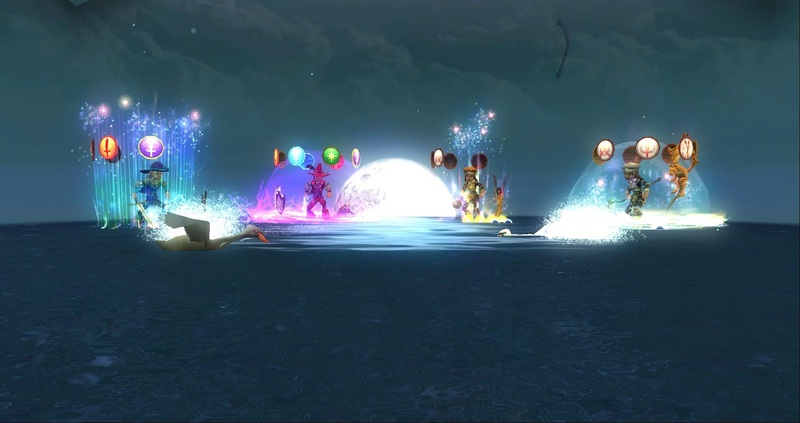 :) I think this will be a great way to the get the community together. It's not Christmas yet, but it will still be a lot of fun to celebrate Christmas in July before the main holiday gets here. That means I'll have to improve everything for the Holiday season this year since I'm having a Santa Run this Summer. AH!! I can't wait! I've been looking forward to this event since I announced it earlier this month. :D I can't wait to meet up with all of you again. Keep looking for more information: potential cohosts? Contests? Activites? All of this will be announced the first week of July! I should really get back to decorating. 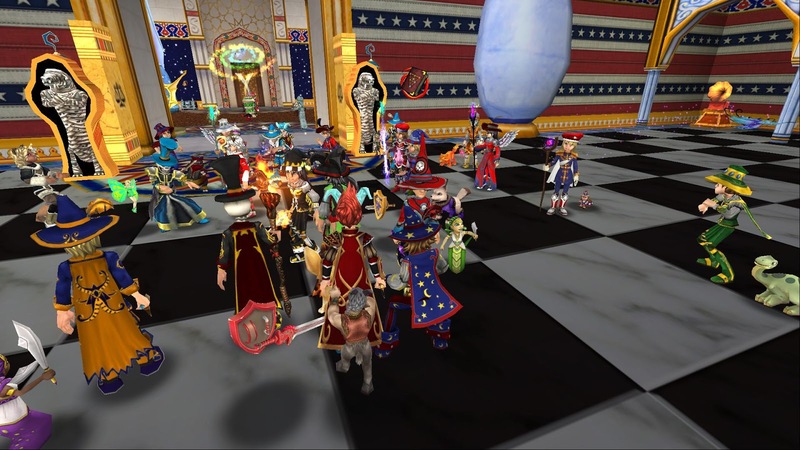 Until next time, I'll see you around the spiral! By the way... if you would like more information about the Santa Run, click anywhere on the image below!! 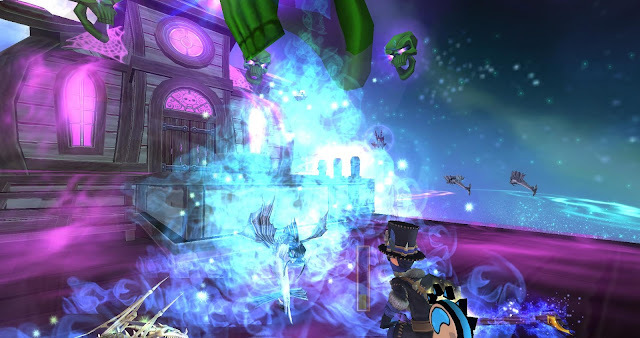 Blind Mew posted his thoughts about VL2 and the ending of ARC 1 on the Pirate101 Message Boards today (you can read that by clicking this hyperlink - HERE). He called out for all of us to tell more people about the game we love and they would also do the same thing! We have to let everyone know how amazing Pirate101 is so they could save it. 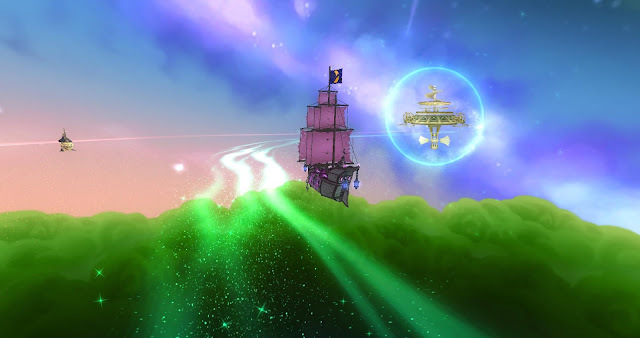 If we are able to get a lot more Pirate101 players to play the game and hopefully buy crowns and memberships for the game, we'll be able to have more worlds. 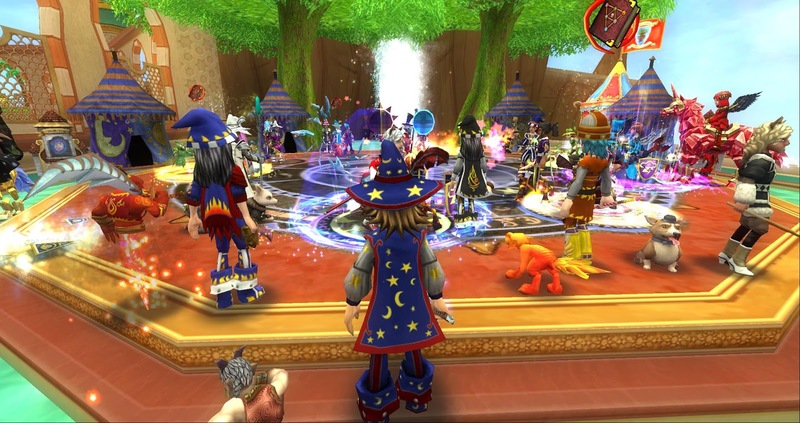 Quitting the game in protest of Kingsisle not releasing enough content will not help Pirate101, the same with Wizard101. We have to show them how much we love both games while spreading the word about these amazing games! 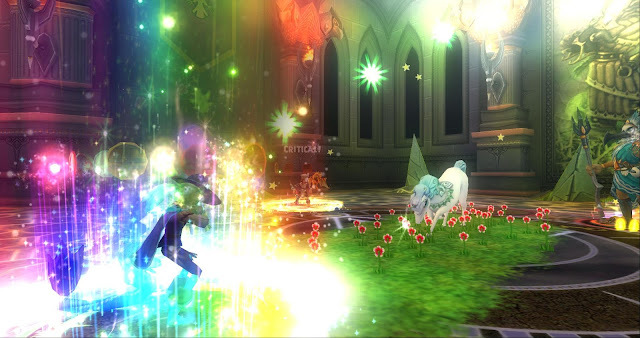 Spread the word to your friends about the game we love! I know Kingsisle hasn't said that Pirate101 would be closing down, but I still think it's nice to use the hashtag #SavePirate101 and #PlayPirate101. :) If you haven't played Pirate101 yet, you can start by creating a character by clicking anywhere on the image below!! Many of you know that I don't have the best gear in the game! :P I actually have a few pieces of level 58 gear on a few wizards that are above level 100! 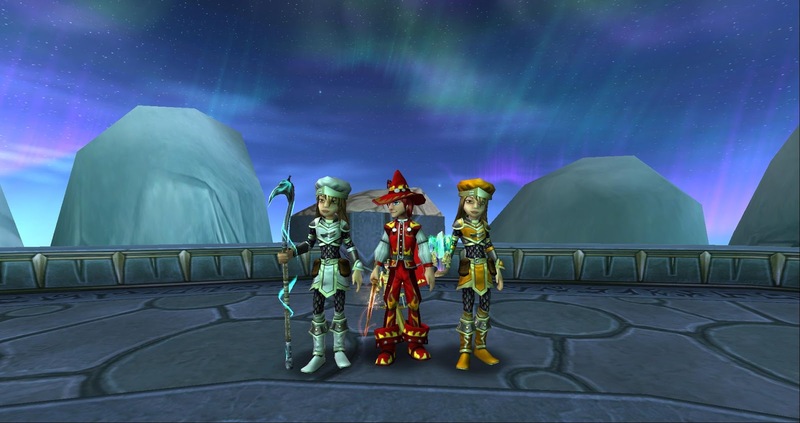 My sister & Autumn also wanted new gear so we decided to start farming different bosses from around the spiral for new gear. 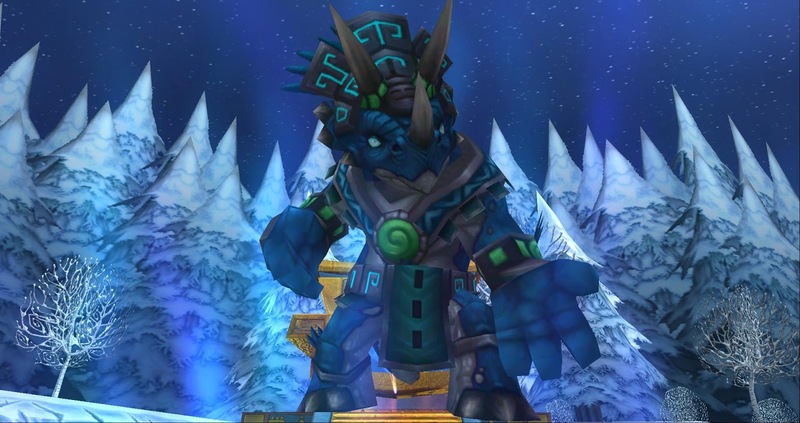 Farming for new pieces of gear is still not over because we still need many pieces of new gear. This dungeon was actually pretty easy to get through since we had a great team! 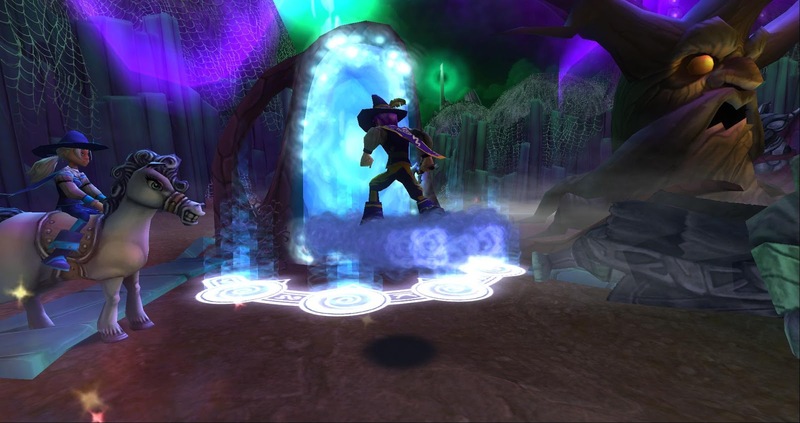 I actually remember soloing this dungeon at level 90 on my ice wizard and I couldn't make it past the Cerberus fight no matter what I tried. I think I tried it before Shadow Magic was even released, so there was no way I could get rid of those shields on my own so I just tried hitting over and over. A team is a great thing to have, but so is the guides from the amazing websites that provide them. Seriously. Where would we be without their help? :) Special shoutout to them! Use the guides if you have any trouble. I'm sure many of you already do, but if you're new to the game, these guides will help you be better prepared for a cheating boss fight. 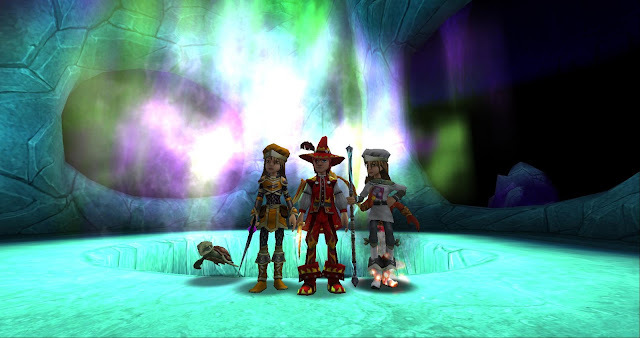 :) This dungeon was a lot of fun to quest through and we got a few pieces of gear from it too. We'll always try again for new gear! Well, I should end this post now. Thank you all for reading and for your incredible support. 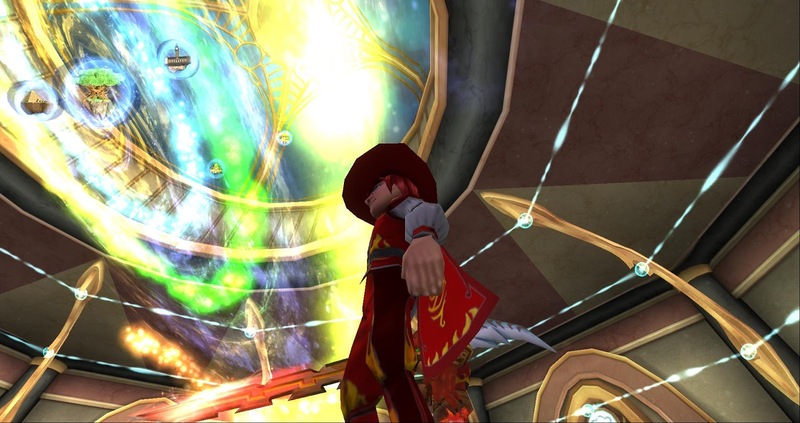 Until next time, I'll see you around the spiral! I wanted to make another post about what happened over the week on Twitter. This will be a lighter side of how I'm feeling about all of this. I don't want to play victim over all of this, but I can't say that this didn't hurt me and make me feel bad about who I am as a person. I know I'm a good person and I want to support everyone for being who they are no matter who they are as long as they're not using hate against someone because I don't support hate at all. 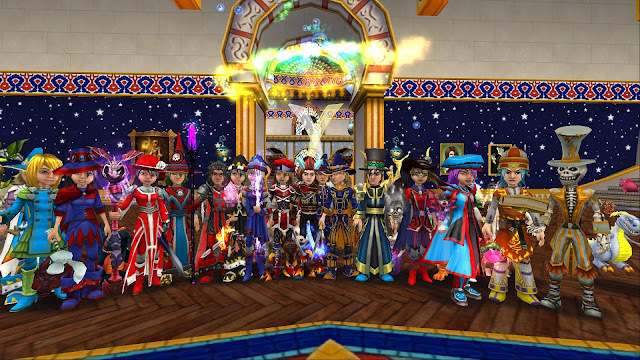 I went to an amazing Wizard101 event yesterday and had a chance to meet all of the wonderful Instagram wizards. They're amazing, trust me! 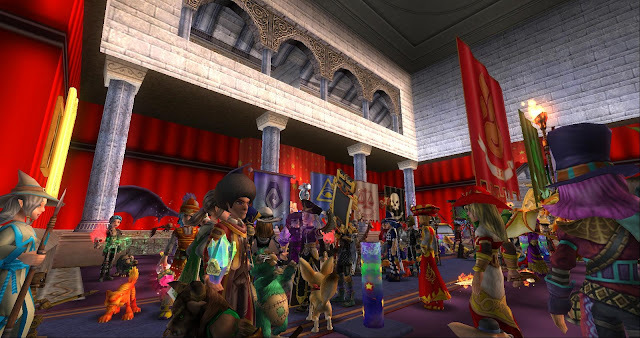 Calamity SkullFlame, Cody Star, and Iridian Willowglen were behind this amazing event. You could tell all of the wizards there were very nice and welcoming, at least that's what I got from it. I was worried to interact with everyone. I'm usually not quiet during events, but I'm already worried about saying anything on the game without having so many run up to me and have the same thing happen again. I'm not worried about somebody disagreeing with me about the situation that happened a few days ago, but I am worried that this will continue with endless bullying because I have different opinions about things. I had put myself in a parental position a few days ago because I felt that something was not right and I stood up against that. Doing so actually led to me being called probably more names than I've ever been called in my life (I don't remember this many at all), being made fun of because of my Religion, who I, only one person, supports in Politics which doesn't matter at all, my website and many other things that I will not mention on this post. This might be hard to let go of because of how sad I am that this happened. I'm not saying that I've been here longer so you have to respect me, but I remember welcoming quite a few of that group to the community on Twitter when they made their first tweet. I am not a bully at all for worrying about somebody's choice. My opinion could be wrong but that does not give you a right to send 40 people to bully somebody because of their opinions. I have just as much a right as you do to say that maybe I was wrong - even though I don't feel I was. Bullying somebody and saying it's not bullying, it's just? What is it exactly? I would like to know what you think it was that so many people had to make somebody feel bad like that. The only thing that would make me feel worse than I do now is that somebody else is bullied by so many people that feel it's okay to make somebody feel bad. 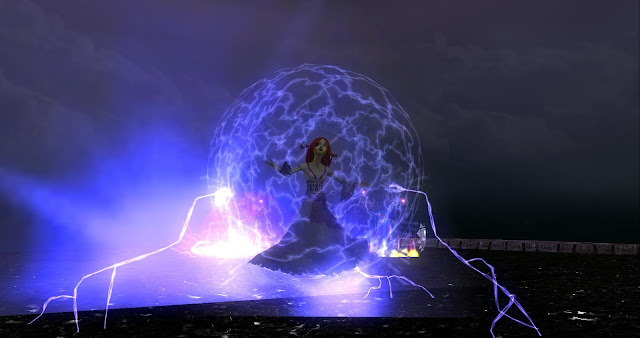 I don't want to see anybody in the #twizard or offline in real life being bullied by one person yet alone nearly 40. I'm sure there are more that have shown support of this bullying and I don't like thinking of this. It makes me not even want to talk or interact with anyone because I'm worried you're just hiding until you're ready to kick me down while I'm already down on the ground. There are however many good things that have come out of this. I know there are many amazing people in the community (and in real life) that do not support bullying. I'm glad there are people in the world like this because that's the way to make the world a better place - standing up against bullying of anybody no matter who they are. I do not support any kind of hatred against anyone and just because a few say that doesn't make it so. I love God and I know he loves everyone, I support a politic that many might not support but that doesn't mean I don't support all religions/people. I wouldn't bully my worst enemy because I believe showing hate with hate will just make the fire burn even more. I made this post not to hate, but to let those who have bullied me or are planning on bullying me because everyone else is doing it and getting a lot of retweets, likes, and praise doesn't mean you're a bad person. It means that you need to stop and put yourself in my shoes and how I feel or somebody else feels that you have bullied. I hope you're not bullied by nobody here or outside in real life. I don't believe anybody should be bullied on anything no matter how unique they are. I'm not saying I'm unique, I'm only saying I'm me and I'm happy to be who I am. Acceptance is a major part of peace and how Love will truly win. Accepting that everyone has different opinions and choices. My opinions and choices are different from yours, just like yours are different from another reader and so on. I love Vanilla Cookie Dough cream! You might like Mint Chocolate Chip. You wouldn't show any hate for that because if everyone was the same and loved the same ice cream, Birthday parties would never be the same! Just like the world would never be the same if everyone had to agree with you, or you had to agree with me no matter what and you had to like it because you wouldn't have a right to different opinions. Please accept that everyone is different and there is no reason to bully anyone because of different opinions and choices. It's okay if you don't agree with me, but it is not okay to bully me or anybody else no matter how many people it is. This is a way to spread hate and I will not accept that especially if it's somebody else in the community. I hope I can move on after all of this and get back to my normal posts, tweets, and normal activites. The only thing I will apologize about is involving those who had been involved in this. The last thing I want is for you or anyone else to be bullied just as I have. I accept that I have been bullied but I am also going to accept that it's time to move on after this post of getting my true feelings out about this entire situation. If you truly know who I am, you'll know that I'm not a bully or any of the other names that others have called me. I'm human and I know who I am as a person. I'm a good person that supports everyone as long as they're not using anything for hate. Now. That's all I have to say. I just wanted everyone to know this was much more than drama to me. It really made me feel bad about myself and I've never felt this way before but I've also had so many amazing people out there remind me not to listen to those who are trying to make me feel worse. I'm going to listen to you now after this post. I really wanted to get this post out so you know how I felt about all of this. I'm ready for a new fresh start of new posts, talking to all of you because I love interacting with you. I don't want somebody who apparently hates me to take that part of me away from all of you. I also want to make blog posts and have events that get the community together without the worry about somebody showing up and bullying me or one of you. The way to do that is to continue doing what I did and not letting them win. I will not back down and I will continue doing what I have done since I joined this community and that is continue supporting all of you for who you are and trying to make the community a better place for everyone no matter their opinions, choices or beliefs. I would also like to thank you all for your amazing support. You're all great people and I'll never forget the support you have shown me in the past few days. I said a few days ago that it was time to get back to normal tweets but I really wasn't ready. I feel so much better now just by getting how I feel about all of this out to all of you. I'm still sad, but most of all thankful that there are so many great people in this world to stand up against bullying. Give yourselves a pat on the back for not only being great community members but showing the strength that you have to stand up against it. I don't care if you believe what I believe or not, I'm just glad that no matter what, you have been able to look past that and stand up for what you believe in too. As long as it's good and not bad. Thank you all again. I usually don't make posts like this on my website but I wanted to tell all of you something that has been on my mind lately. I'm very thankful for all of your support over the past Six years! I really don't know what I'd be doing if I wasn't blogging about the games we love, Wizard101 & Pirate101, for this amazing community. I don't even know where I'd be in real life if I didn't join these two amazing games and the communities. Many of you know that I decided to become a Computer Programmer/ Software Developer so I started attending College in 2014 to earn my Bachelor of Science in Computer Science - which most likely explains the lack of posts in the past two years. :P I already know what I'm going to do in my future because of that. The community has helped me with communication. I'm actually a shy person, but a few years ago I was very shy and awkward (all of the time - seriously my weird funny blog jokes didn't work). I'm so glad I was able to talk to everyone here because of that reason. I hope you're having a nice weekend! Today I had a chance to quest my Swashbuckler again. 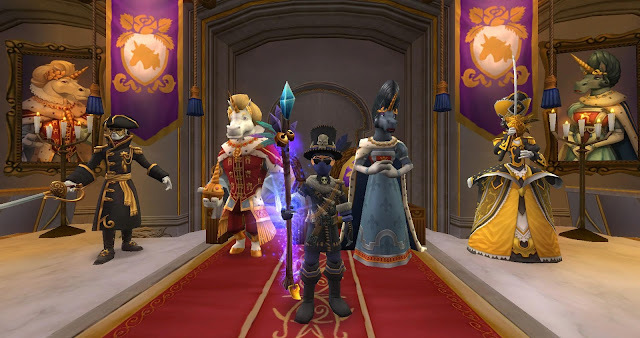 I don't like taking long breaks, but it seems that I will be questing a lot the next month as I'm planning on making more Pirate101 posts than I have as of late. 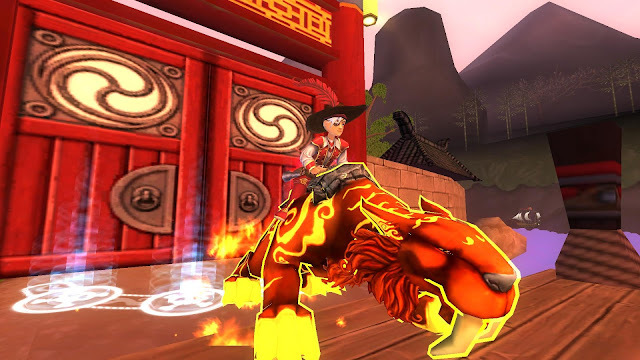 On my last blog post, I had to fight the Monkey King after I returned his staff to him so he could get out of the cage he was locked in. The fight wasn't that difficult but I was still able to make it through. :) Shortly after defeating him, I found a letter from Shunzang The Wize and in that letter he said he wanted me to return to Subata Temple. Once I returned, Shunzang told me that the only way Monkey King would cooperate would be to get The Crown of Command (which commands him to cooperate). Shunzang told me that I would have to fight my way through the Shadow Fortress to put the Crown of Command into Monkey King's helmet and then return that gear to the monkey king. 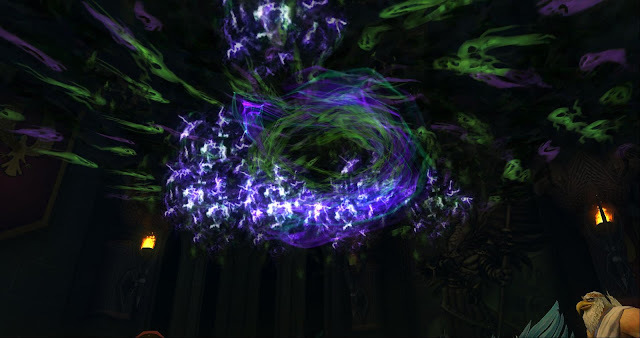 I actually remembered what the Shadow Fortress was going to be like because I remember questing through this dungeon not long ago on my Witchdoctor. I knew I would have a lot of Ninja Pigs to fight! I think I had to fight about 20 Ninja Pigs (including one last main boss). There really isn't much to say about this dungeon, only that you should have your main companions, yum, and Doubloons if you need help. I soloed this dungeon and it really wasn't as bad as I thought it would be. :D Minions from the Crowns Shop also are very helpful since you're able to pick the attacks for them. 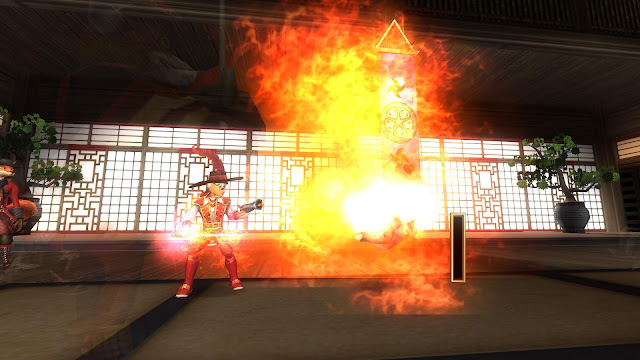 There are a few fights that you can avoid in this dungeon (shortly after defeating the six Ninja Pigs that are required for one quest in this dungeon). You can avoid those fights by just running around them and that's where you'll meet the boss, Kirigi. This part of the dungeon requires you to only defeat him so you can get all of your attacks ready and attack him as soon as you're ready. Now.. 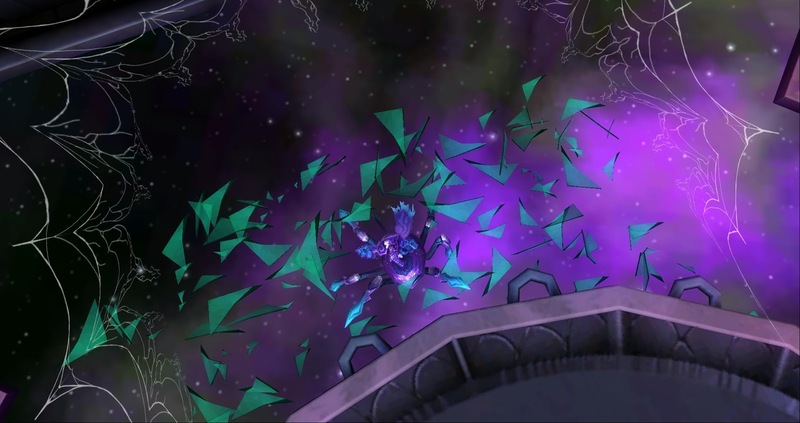 I bet the next few fights will be very difficult because I remember saying many times in the past that I was ready for more dungeons like this. I'll be ready. Nobody can defeat The Cringle! 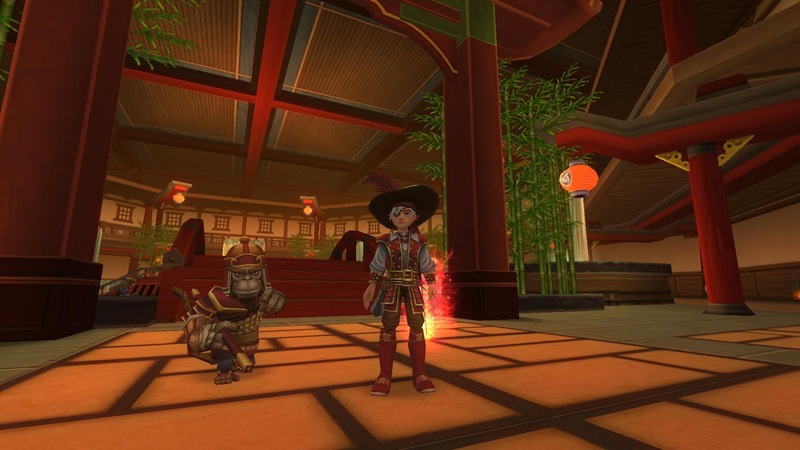 Shortly after obtaining Monkey King's gear, I had to sail back to Subata Temple to tell Shunzang the good news. 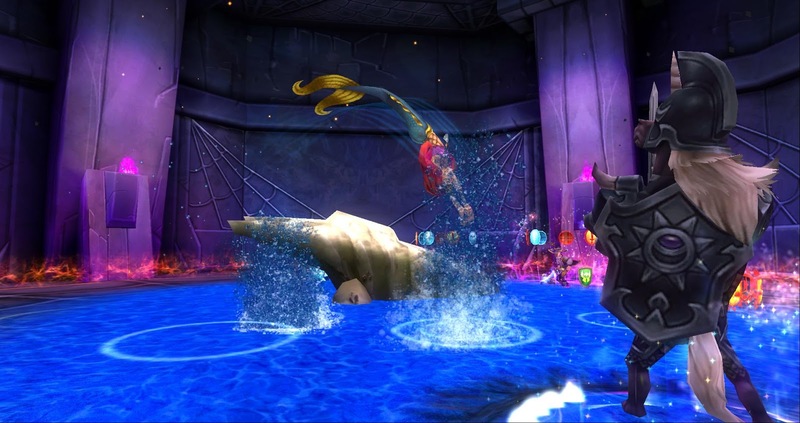 Monkey King also arrived to take back his gear and we almost used the Crown of Command on him until he agreed to help us. He told us that he didn't have the Turtle Ball and that somebody else actually had it. 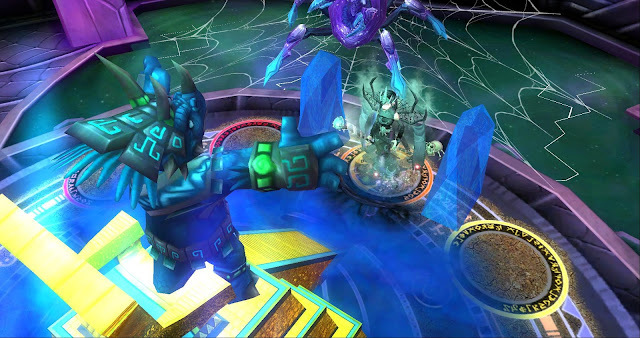 Monkey King also said he would help guide me to the Vortex where this boss is located. That's where I decided to stop because I knew I would have a lot to type on this post. :P I love making posts like this, but sometimes it is very hard to remember what happened in the game. 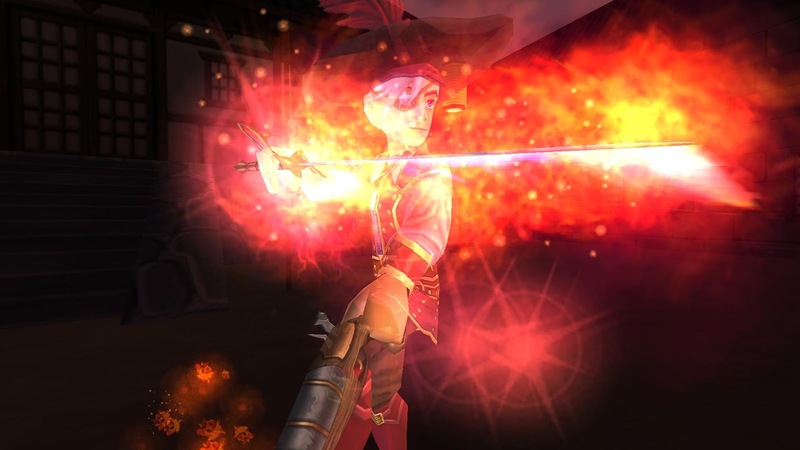 I like making posts like this for the storyline and any difficulty I had when questing this character. I hope these posts are also helpful for you. :) Well, it looks like I should take my leave before this post gets too lengthy. By the way, Happy Father's Day to all of the Fathers out there and I hope you have a great day. :) Until next time, I'll see you around the skyways. 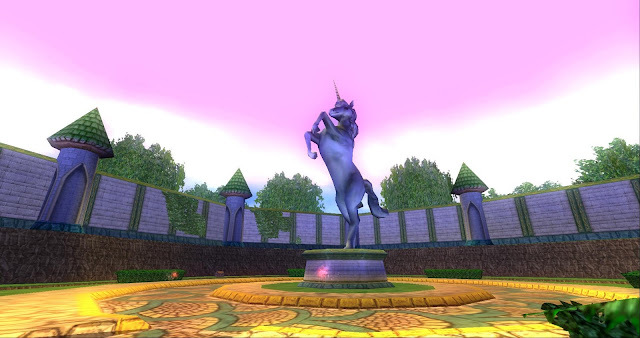 Click this image to read my Wizard101 Posts. 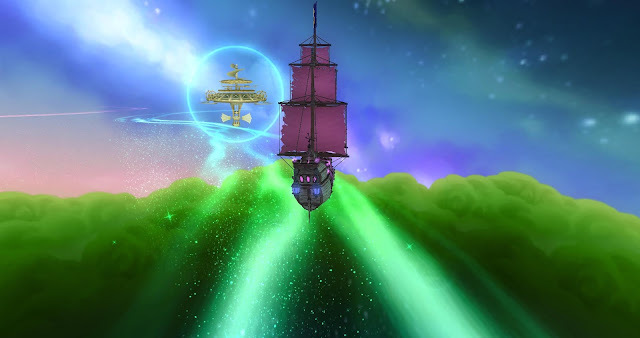 Click this image to read my Pirate101 Posts. I hope you're having a wonderful Wednesday! I've been wanting to make a post about one of my favorite YouTubers, Skelemystyk for awhile. 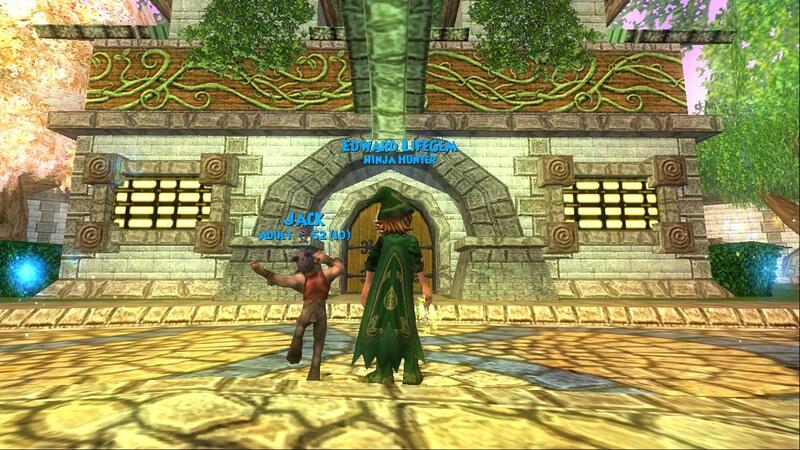 Many of you know who he is and we all know that he's a great leader in the Wizard101 community. He makes many videos including special YouTube Shoutout Videos, Contests, Questing, Tips & Tricks and many other amazing videos. 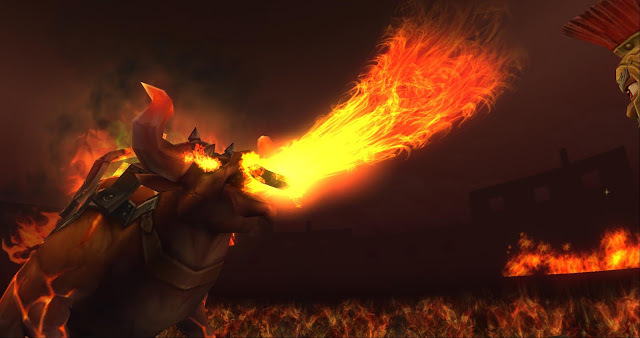 One great example of his awesome videos is the announcement of new bundles such as The Witch Hunter's bundle that was recently released. 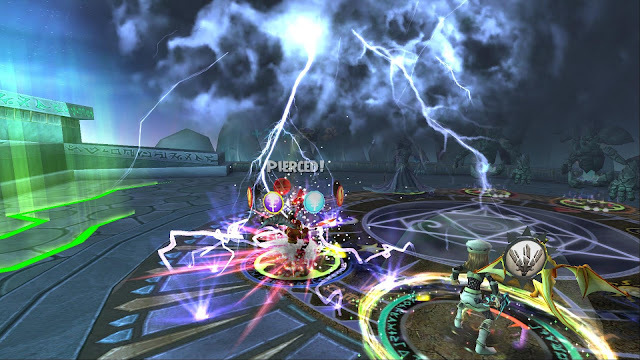 My sister & I actually leveled our ice and storm a lot after defeating Morganthe. I can't tell you how nice it is to finally be out of Khrsyalis. I'm not saying I don't love Khrsyalis, I'm only saying that it feels like we've been there since the beginning of time! :P I actually earned my storm spell when my computer was overheating. It would shut off at random times since it was reaching very hot temperatures and that was not fun at all. When we earned our spells in the beautiful Arcanum, that made up for everything! I hope you're having an awesome week so far! 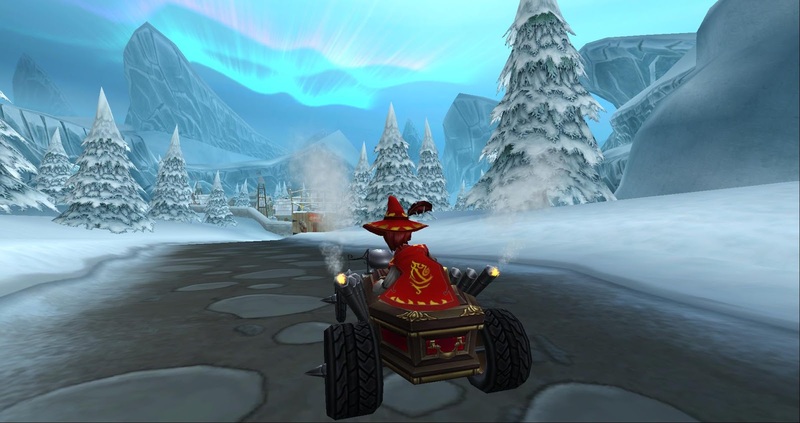 It's been very hot where I live so I've been spending most of my time in a colder climate known as Polaris. 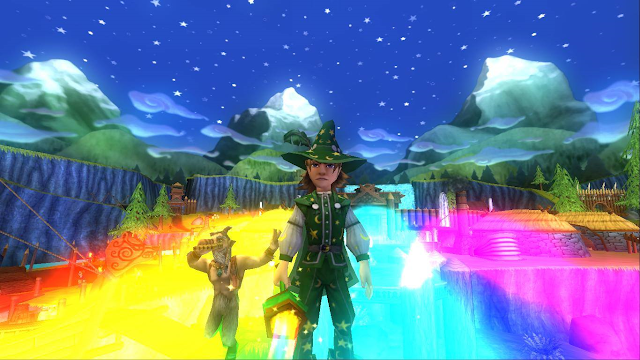 :D I've been questing in Polaris most of the past two weeks and I LOVE this world. I know most of you have already been through this world, but this month was really the first time I had a chance to quest through the world. 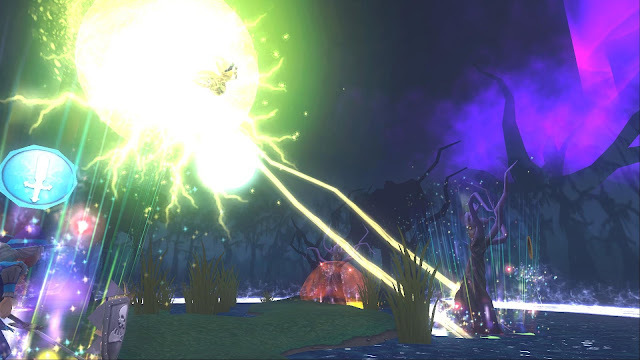 I decided to make a new Wizard101 post about what I like and dislike about Polaris in one! The Graphics in this world are amazing! I have always loved the Space Theme in Marleybone and when Polaris was released I knew I'd love this world because of the stars. 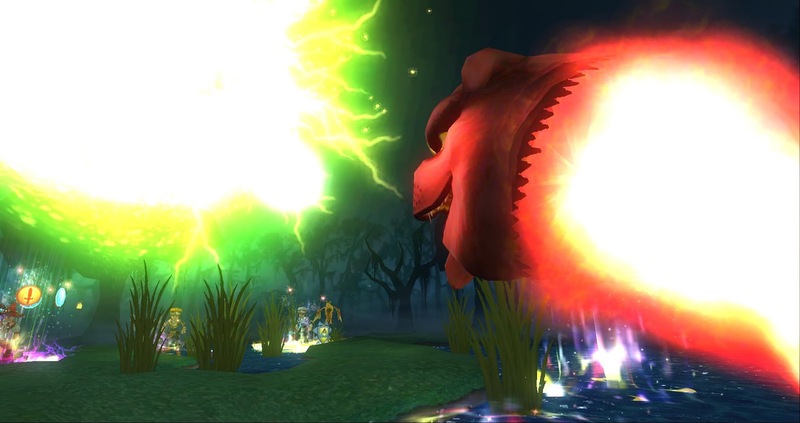 The Northern Lights have always been something that I always wanted to see in real life, so you know the ones on the game were something that I wanted to see! Kingsisle did a great job with this. Speaking of this, I had family visiting last week and I got to show a few family members Polaris and they thought it was beautiful. That's a nice compliment from those who don't play this game. Nice job, Kingsisle! The Storyline is actually a pretty awesome storyline. I love Pirate101's storyline and I noticed that when Pirate101 was released, that storyline was much better. Today, Wizard101's storyline has improved a lot! I hope they keep up this storyline. I'm not going to spoil anything for those who were not able to quest through this world yet, but I think you'll enjoy it. 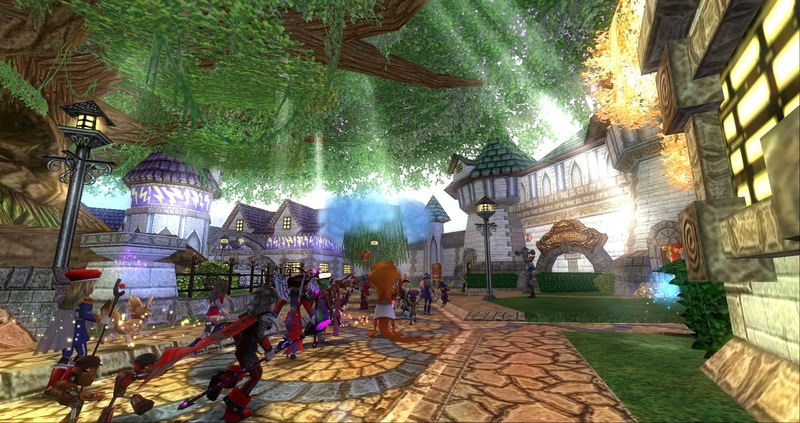 I always turn the sound up on Wizard101 and listen to the music and dialog. By the way... Ivan is awesome! 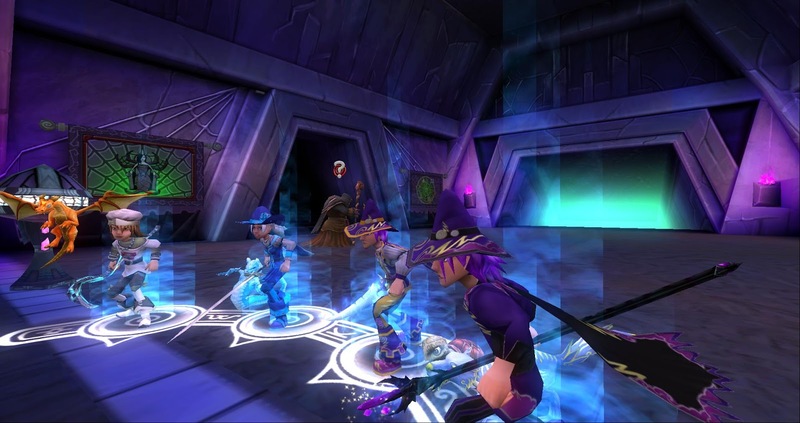 Watching PvP with all of these awesome wizards! 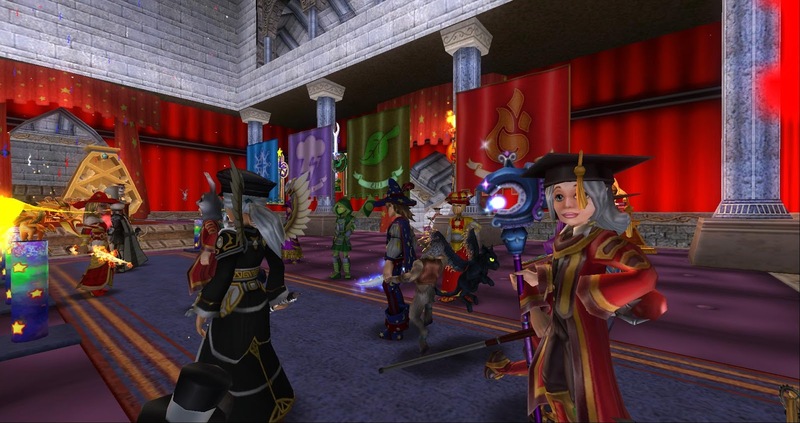 Dance Party inside of my Sultan's Palace. I hope you're having an awesome Wednesday! I was supposed to make this post about two Wednesdays ago, but I thought I'd make it today to start catching up on the many posts that I still want to publish. Many of you might know where I've been on Twitter, but I thought I'd pretend I'm still at a certain place and level here on my website and make posts up until my true current level at the moment. 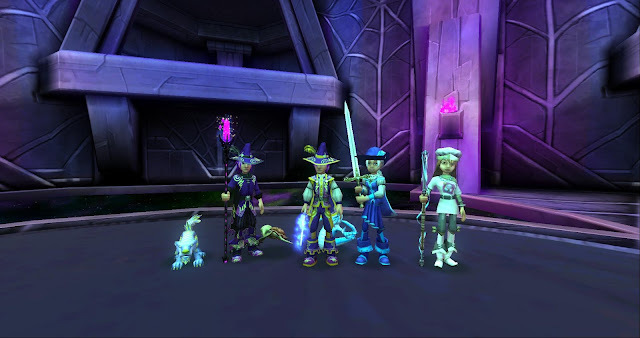 I've had a great time of the game and a few weeks ago my sister and I had help from @KaricTheWizard and @ADreamwalker101. Karic casting glowbugs on the Tree Roots in a Shadow Palace dungeon. Ouch! 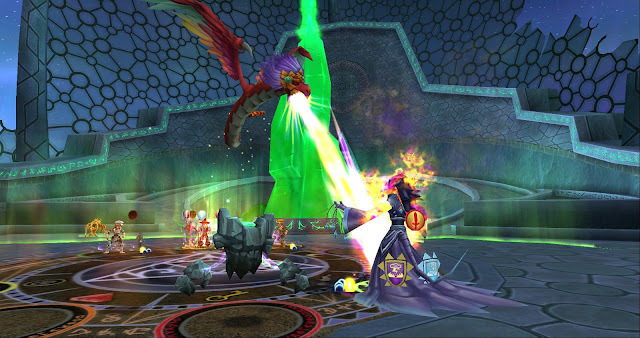 My sister casting Lord of Winter on a Morganthe that survived our attacks. Graduation from WC (Speaking of that, congrats all of Class of 2016 in the real world). Continue leveling up!